Merlin Kesselhon, age 93, of Stevens Point, WI passed away peacefully on January 24, 2019 at Whispering Pines Lodge. Merlin was born on May 16, 1925 to the late Chester and Alma (Geschrei) Kesselhon in Milwaukee, WI. He attended the local schools and graduated from Bay View High School in Milwaukee. He married June Strohn on August 17, 1946. They were soulmates since the fourth grade and were married for 71 years. Merlin was inducted into the US Army on August 5, 1943. He served during WWII era as a Sargent of the 10th Mountain Division in Italy. His MOS was an Instrument Operator. He was honorably discharged on January 20, 1946. When Merlin came back to Milwaukee, he finished up college at UWM with a Bachelor’s and a Master’s degree in Education. He taught elementary school in the West Allis School District and later took the position of Principal until his retirement in 1987. After retirement, Merlin and his wife June moved to their second home on Manitowish Lake. They enjoyed traveling throughout the U.S. and Europe. They also traveled to their condo in Gulf Shores, Alabama where they spent their winter months. Merlin enjoyed cheering on the Packers, Brewers, and Badgers. He was an avid golfer and bowler. 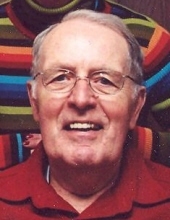 Merlin had a lifelong love of woodworking and enjoyed working on many projects in his woodshop. He also taught woodworking at the Charter School in Stevens Point. Merlin was a wonderful soul, always putting others first. He will be missed by many. We are proud of everything he has accomplished as a husband, father, grandfather and educator. He is survived by his son, Michael (Roxane) of Neenah; daughter, Kathy Kesselhon of Stevens Point; 6 grandchildren; numerous great-grandchildren; and nieces and nephews. He was preceded in death by his wife, June; oldest daughter, Pamela; and brother, Robert. In lieu of flowers, Merlin would like memorials made to the American Cancer Society. To send flowers or a remembrance gift to the family of Merlin Kesselhon, please visit our Tribute Store. "Email Address" would like to share the life celebration of Merlin Kesselhon. Click on the "link" to go to share a favorite memory or leave a condolence message for the family.